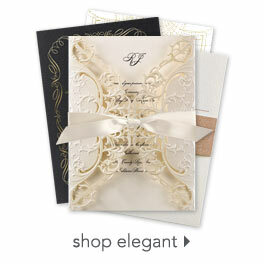 Stay true to your elegant sense of style with these simple reception cards on smooth ecru paper. The ecru paper creates a timeless look that will easily coordinate with your wedding invitation ensemble. This product features thermography printing. Thermography is a unique printing technique that results in raised lettering you can feel, which adds to the luxurious experience of this printed piece.